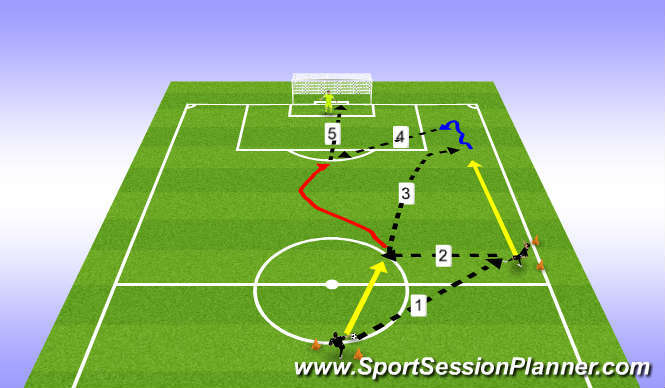 Give and go followed by a long ball up the side followed by a cross away followed by a shot on goal. Create 2 teams and do the same drill from the opposite side of the field and make it a competition between the two sides (teams). Take turns and keep track of score.